In this epic sequel of Pillars of the Earth, we're taken back to Kingsbridge. The church has been standing now for a while, John the builder is long gone, but similar problems with the town still exist. There's a guild who doesn't treat people fairly, the priory only cares about power, and the sprinkling of good people seems to be less than those out for themselves. We're introduced to Merthin, a talented builder that descends from John, Caris, a very independent young lady who wants to learn how to help heal people, Gwenda, who comes from a poor family and doesn't want to stay that way, and Ralph, Merthin's brother who is mean spirited and wants to become a knight. This book is just as captivating as the first. You're pulled in to the lives of these characters and get to follow them through many years. Thankfully, there is a lot of happiness, although a lot of heartache required to get there. I'd like to say that everyone gets what they deserve, but they don't. Some characters got off rather easy, but that's what help makes this book real. I enjoyed Merthin's descriptions of how to build a bridge and what to look for to ensure that water doesn't destroy the bridge again. It's amazing that people had this all figured out back in the 1300s. As much as I enjoyed this book, and its predecessor Pillars of the Earth, I'm not sure I'd want to read another book in this format. Having one follow up book similar to Pillars of the Earth is great, two may be too much. First Line: "Gwenda was eight years old, but she was not afraid of the dark." Rachel takes the train every day. Each day, the train stops at the same part and she can see in to the back yard of a couple whom she has given her own stories too. This house is only a couple homes down from her ex-husband, his new wife, and their baby. This is a farce though, Rachel hasn't been employed for weeks and has no where to go. Instead, she drinks until she blacks out. One of the nights she blacks out, the woman in the house that Rachel spies on goes missing. Rachel thinks she may have been involved but she can't remember. This book had a lot of hype, as a top seller of 2015 and voted as a GoodReads Choice Winner. I'm a big fan of the thriller genre so I expected a lot from this book and unfortunately it just didn't live up to the hype for me. If I knew nothing about this book going in, I'd say it was an average thriller. All of the characters in this book are horrible people. You can't root for any of them, even though I think the author wants you to feel sympathy for Rachel. There just really wasn't anything redeeming about her. Add this to the fact that the ending fell rather flat for me. I expected to be blown away and instead it was just a fizzle. I bought this book as a Christmas present for some folks and now I feel kind of bad about it! Carlotta Carlyle is an ex-cop, current private investigator. Needing some extra cash, she decides to help out a friend and is put undercover as a secretary for the big dig, a huge over budget in Boston to put roads underground. Carlotta is searching for fraud on the worksite, and ends up working in the same trailer as those running the entire project. She's also taken on a missing persons case, hired by her landlord. Carlyle has her hands full working on both these cases. I do most of my reading on the train and find that a good measure of how interesting a book is is how often I find myself snoozing off on the train. If I'm very interested in the book, I'll rarely fall asleep. 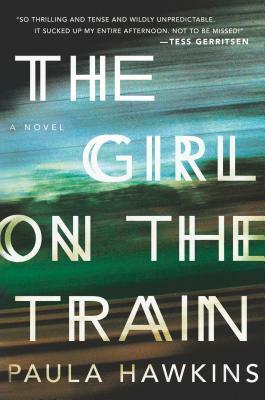 For this book, every time I was on the train reading it, I was falling asleep. Needless to say, I didn't find this book the most exciting. My main problem with this book is how boring Carlotta was!! You'd think as an ex-cop she'd say and do interesting things but that's not the case at all. I couldn't even really get behind her as an older sister because that part of the story is never really flushed out. Unfortunately, I couldn't finish this one. First Line: "I used to work with Happy Eddie Conklin when I was a cop."